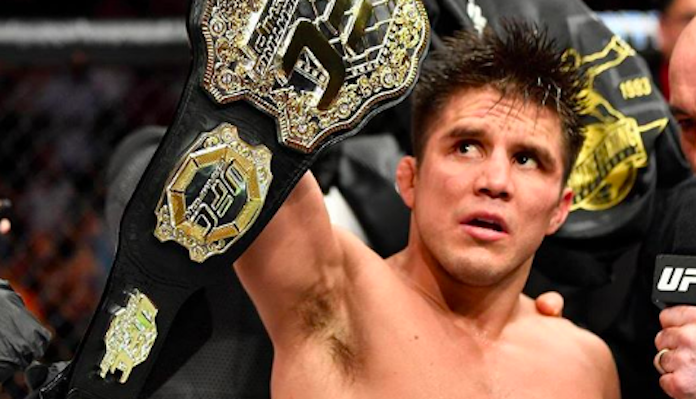 Henry Cejudo will put his newly acquired Flyweight title on the line for the first time against TJ Dillashaw in the headliner of next weekend’s UFC Fight Night event on ESPN+. 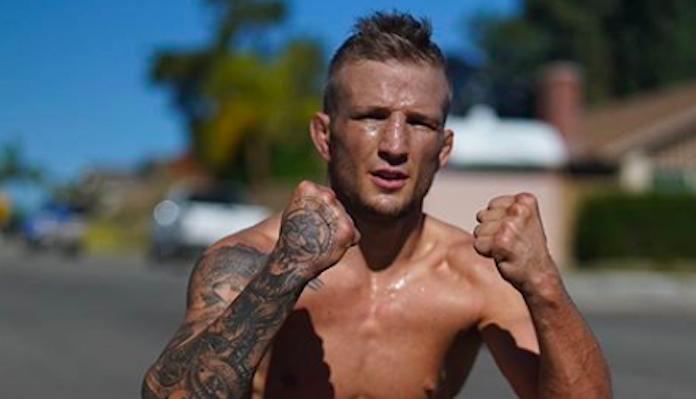 The current bantamweight kingpin, TJ Dillashaw, will be making his 125-pound debut when he squares off with the former Olympic gold medalist next Saturday in Brooklyn. With that being said, many fans and analysts have expressed concern that “Killashaw” won’t be able to make the flyweight title fight limit of 125-pounds. Henry Cejudo’s manager, Ali Abdelaziz, has gone as far as to seemingly guarantee that TJ Dillashaw will miss weight for the fight. While all the talk seems to surround TJ Dillashaw’s ability to make weight, Henry Cejudo appears to be in incredible looking shape for the highly anticipated super fight. Check out Cejudo’s recent Twitter post detailing his amazing physique. Both men, Henry Cejudo and TJ Dillashaw, were most recently seen in action at August’s UFC 227 event. That evening, Cejudo dethroned longtime flyweight kingpin Demetrtious Johnson via split-decision. As for TJ Dillashaw, the bantamweight champion picked up his second career knockout victory over Cody Garbrandt at the August 4 event. Cejudo will enter next weekend’s fight with “Killashaw” on a three-fight win streak, while TJ will come in having won four straight fights. Who are you picking to emerge victorious when TJ Dillashaw and Henry Cejudo square off for the promotions flyweight title next Saturday night in Brooklyn? Sound off in the comments section PENN Nation!